Leslie R A Bryan. 2013 Metric Units Edition. 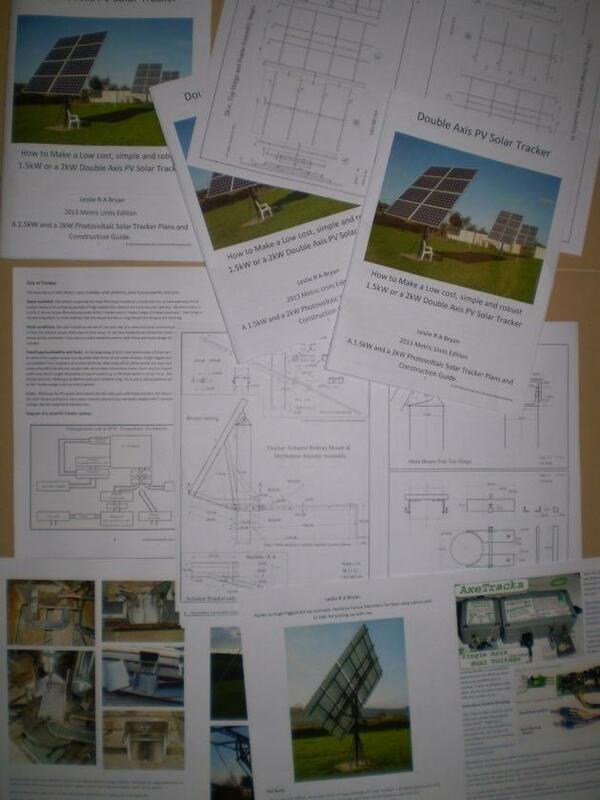 1.5kW and a 2kW Photovoltaic Solar Tracker Plans and Construction Guide. This is the first edition, November 2013, of ‘How to build a PV Solar Tracker’. Any construction and design amendments will be found here, on this site. The book is split into several distinct stages of construction, and separate instructions are included for both the 1.5kW and the 2kW versions of the Solar Tracker. A comprehensive, easy-to-follow, 32pp A4 working document, in full colour, including 64 high resolution photographs of the complete process, and 8 full pages of detailed technical drawings and designs. Purchase your own copy for a nominal sum, to cover the costs of printing and postage.